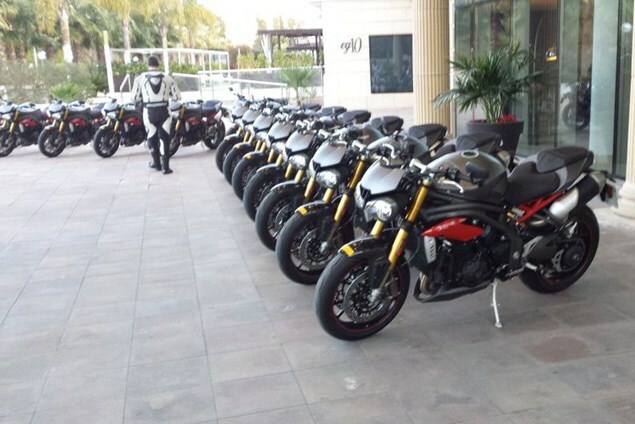 TRIUMPH has just announced some of the key figures for the new Speed Triple; it makes a claimed 140hp at 9,500rpm and 82.6lbft torque at 7,850rpm. Triumph says it weighs 192kg dry. The S version will cost £10,200 OTR and the higher-spec R will be £11,500. The launch event is taking place right now in Spain, so check back tomorrow for our first ride review. In the meantime, click here for some information on what's new on the 2016 Speed Triple, including information about its electronics, revisions to the engine and styling changes.